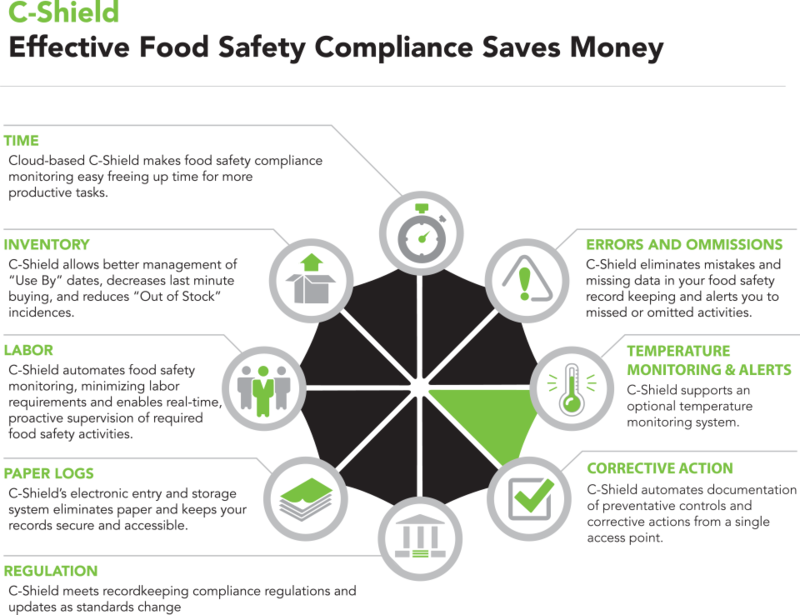 C-Shield is a SaaS* cloud-based, electronic monitoring system specific to food safety compliance. Typical ERP systems are costly to implement and force significant operational changes to your established business processes in the name of system integration. C-Shield is highly configurable and adaptable to your existing workflow processes. C-Shield all but eliminates the need for you to change your current business processes and reduces implementation time and expense.